The smartphones we are using today are great gifts from todays revolutionizing technology. We all agree to the statement that it has changed the way we live. Smartphones has simpified our lives by making tedious tasks easy but sometime we face problems like, the device is not working with efficiency or your device is lacking some kind of tools which will help it to do what you want. In this fast world this type of problems can make your device slow and your precious time could be wasted. If you are facing such kind of problem and if you need your device to be fast enough which could keep you up with this fast moving world or you want your device to be friendly with you then your are at right place. No matter if you are using MI, android or iOS, here, you will find every tool which will make your device more comfortable, fast and efficient. 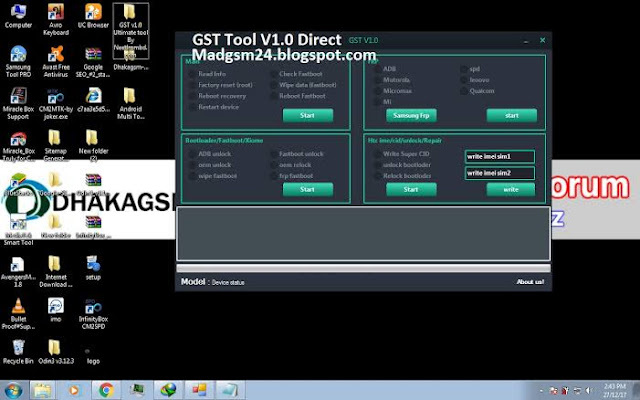 GST Utimate tool v1.0 Latest version is one of those tools which helps you to solve your many problems. It is one solution of your many problems about your smartphone. If you want to unlock FRP in your device or you want to unlock Gmail in fastboot, then this tool could be your best choice. Its interface is soo friendly that you can easily work with it. You can easily read infromation of your device by using this tool. You can comfortably wipe and restart your device. By using this tool you can easily read full information about your device with an ease. 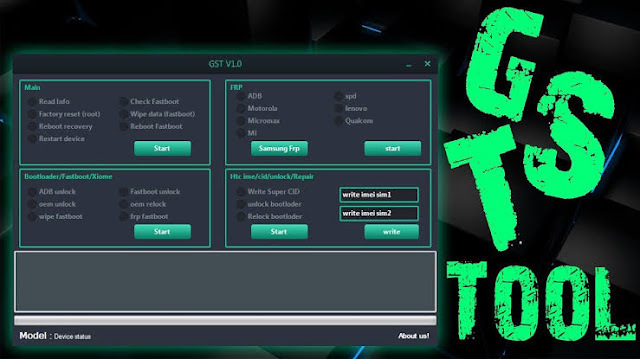 This tool could help you to Reset or Root your device in a simple way. You can also restart your android device with this tool. It also solves our great problem of checking device in fastboot mode. As mention earlier, you can also delet or wipe your information stored in the device. It has many more advanced options with reboot fastboot. It supports almost all devices but it is better to know that your device is present in this list or not. If you are interested in this tool and want to download it just go to below and click on the link below which we provided.